1.2 How to start free conference call from my jio sim inserted device? 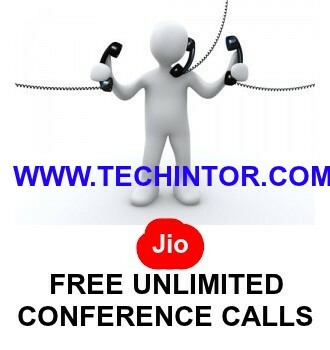 Hi techintor.com fans, today we are sharing an article on how to do free conference call using your jio sim. In this article, you will get know about ‘how to start a conference call from your smartphone’ and ‘How to do free conference call/ group call with jio in 2016″. Conference call: It can be called as group call also. here you are able to speak with more than one person at a time. Yeah it’s similar to group chats. One user should start the group call/ conference call from his device and he can add as many participants [users] to the conference call. It can be very helpful in many cases. What is special in jio conference call? well, that’s a good question. I think you already heard about jio welcome offer. jio welcome offer provides unlimited free calling and internet till December 2016 [maybe extended up to march 2017]. we can utilize this great time for doing a conference call. that is with the jio welcome offer you are able to do unlimited free conference calls. Completely Free. Yes you can do group call [conference call] with your friends/ relatives/ other for unlimited minutes. Most probably, now there will be a question left answered in your mind, “How to start free conference call from my jio sim ?” [ “how this jio free conference call works? “], this article will give the well explained answer for it. Jiochat allows you to do both free voice conference call and video conference call. you can enjoy free and high-quality group calls using jiochat. You can connect all your friends who on jiochat. Make A group of jiochat contacts and do video or voice call conference [group call]. You can connect with maximum of 5 users in a confernece call. NOTE: This feature is on development mode currently. will launch soon completely within few days. Bytheway, conference call working fine for VoLTE users. How to start free conference call from my jio sim inserted device? In this section we are discussing on how to do free group call from your jio inserted device. 1. open jio4gvoice app, and first call any one person that you want to add in your group call. 2. Now after he takes the call, you can see a button [3 dot button] at the top right corner; tap on it then select add new call . 3. Now select and call other one participant which you want to add in your conference call [from jio4gvoice app]. after he takes the call. again tap on the 3 dot button at thr top right corner >> now there you can see a option ” Merge calls” . just tap on the merge calls. The 2 participants will be added into the group call now. now you are 3 persons are in the conference call. 4. you can add more participants to the conference call one by one by repeating above steps. Thus with jio4gvoiceapp you can enjoy unlimited minutes conference call. Let me tell you some examples, you can do group works [school/college/business] effectively with conference call. But actuallly when comes to jio free conference call, the best thing felt me is using it for pranking my friends. Its very funny, since jio conference call is free you can enjoy unlimited free conference call without any limits. Hope everything clear now. If you have any doubts regarding jio free conference call then just comment below,we will reply you as soon as possible. Enjoy this awesome feature of conference call with your friends and relatives for free using jio sim. If you like this ‘ unlimited jio conference call article’ then please share this on facebook and support us. Limited to 2 person only.. third is not allowed to hear the conversation of other two..after merging the call also. no bro it's working. you need to do merge call after adding each person to the conference call. it's working fine. hi sir iam VOLTE user, while conference call it showing me merge call option but iam not able to click on it. Its not working. wt should i do..
please follow the procedure. 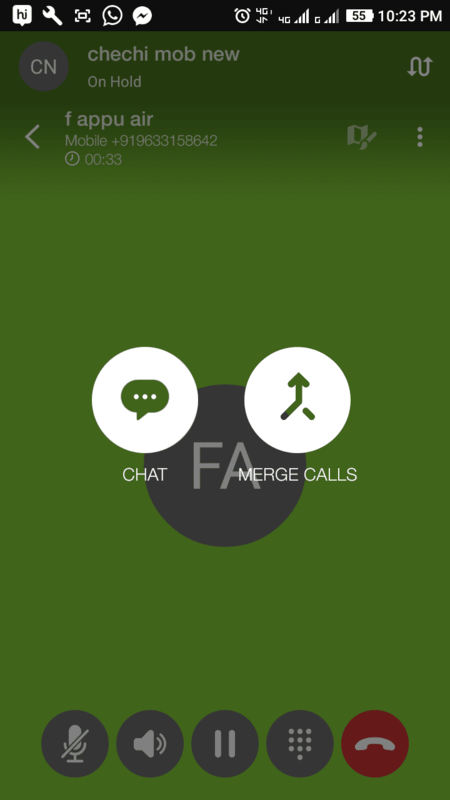 you need to tap 'add new call' and thus add another call then the merge option will be active. Jio has stopped conference call service now on their sim. Calls get dropped as soon as you merge two. Maybe, they want to activate this facility after the free period ends, with some kind of an extra charge to use this facility. I do conference call correctly but no one to speak…. click merge button the call could be Silent….. And the one user end the call then two person will speak…… So tried to speak in conference first time it’s work…. I am speaking 8 member with 2hrs then I am cannot connect to speak conference. when I tried to merge second call then first person is disconnected…..
for VoLTE users working fine. Hey, I am a VOlTE user so I have to use my phone dialer to make calls.. As jio4gvoice app switches to my phone dialer as I try to make a call.. When i make a call by my phone dialer and add another call it puts the first one on hold and connects the second person.. But as soon as I tap to merge both the call.. It automatically disconnects both the calls.. I am using Oppo f1s… Please help. Jio Conference faculties have stopped. I ALSO FACING THE SAME ISSUE WHILE CALL CONFERENCE. WHEN I ADD ONE PERSON THEN GO FOR OTHER ONE TO ADD. FIRST ONE AUTOMATICALLY DISCONNECTED I TALKED TO JIO CUSTOMER CARE PERSON HE TOLD ME UPDATE YOUR OS CURRENTLY I HAVE OS IS LOLLIPOP WITH VOLTE. IT’S MEAN U NEED MARSHMALLOW OS IF U WANT TO TAKE BENEFIT OF CALL CONFERENCE OR USE JIO4GVOICE APP. I AM HAVING THE SAME PROBLEM WHILE CONFERENCE. THEN I CALLED TO JIO CUSTOMER CARE PERSON HE TOLD ME TO UPDATE YOUR OS CURRENTLY MY OS IS LOLLIPOP ITS MEAN WE NEED MARSHMALLOW TO USE IT WITHOUT ANY FLAWS. HI I’M USING MARSHMALLOW OS BUT I CAN’T ABLE TO MAKE A CONFERENCE CALL FROM JIO. THE CALL IS AUTOMATICALLY DISCONNECTING….. It always shows d msg unable to connect conference call!